We are excited you are considering applying to Augusta University. Located in Augusta, Georgia, Augusta University is a public research university and medical center dedicated to training the next generation of innovators, leaders and health care providers. Home to four campuses in Augusta and various satellite locations across Georgia, Augusta University is at the forefront of groundbreaking research focused on improving and enriching the human experience. Offering undergraduate programs in the liberal arts and sciences, business and education as well as a full range of graduate programs and hands-on clinical research opportunities, Augusta University is Georgia’s innovation center for education and health care. The combination of nationally ranked business and nursing schools as well as the state’s flagship public medical school and only dental school makes Augusta University a destination of choice for the students of today and the leaders of tomorrow. 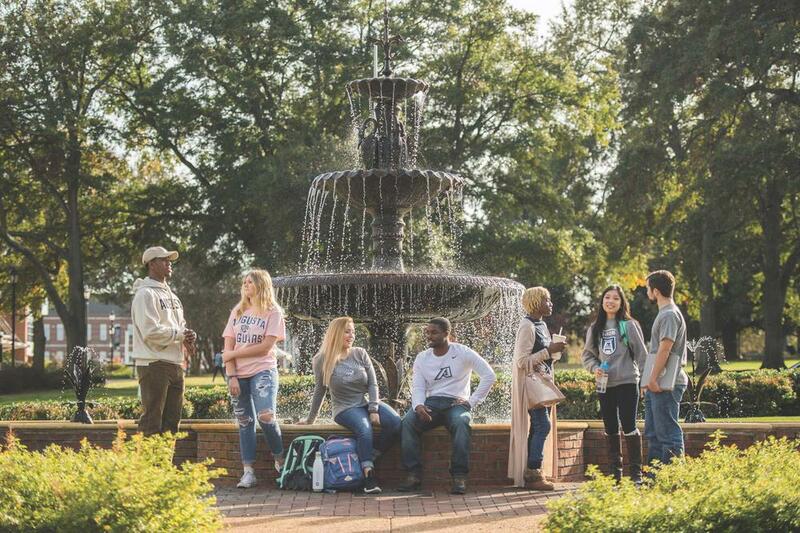 Learn more about life at Augusta University - from academics and clubs to living on campus and more. Jaguars transcend disciplines and think critically to solve today’s most pressing problems. Augusta University’s well-rounded education prepares you not only for a better career, but also to be a better citizen. Wherever you are on your academic journey, our community is waiting for you to make your mark.